Searching for the best lip fillers Belfast? Looking for a safe, pain-free lip filler clinic in London? Our network of UK dermal filler clinics offer the safest lip fillers and dermal fillers and the most affordable lip filler prices. Lip augmentation, lip fillers or lip shots with injectable fillers is a very common procedure as it is a quick and easy dermal filler procedure. The lip fillers procedure typically lasts about 30 minutes. This treatment can be completely pain-free, with the use of local anaesthetic injections. Lips are an important part of our lives a very focal point on everyone’s face. The lips frame your smile and are used to kiss the ones you love. Some people may be very satisfied with the look of their lips while others want to make their lips fuller or have a smaller lip than the other which they want to make look the same. Many people have lost volume in their lips, Lip Augmentation, Lip fillers or Lip shots can enhance or restore a fuller shape to your lips. The results of lip fillers are instant; you can resume normal activities, drive yourself home or return to work immediately after the treatment. The results typically last 6-12 months although the exact length of time will depend on factors such as lifestyle, age and the degree of perfection demanded. Additional touch-up treatments can be performed at any time after the initial treatment. 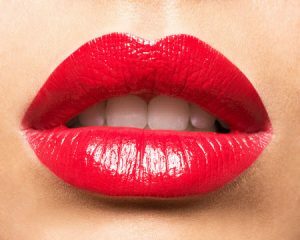 There may be some mild redness after getting lip fillers done, in the treated area which usually resolves after a few hours. Some patients may get some swelling after the treatment and lasts on average no more than 48 hours. Occasionally bruising can occur which if significant may last 5-7 days. Get in touch with your nearest dermal filler clinic today!